Published: Jan 30, 2013. Updated: Apr 6, 2014. 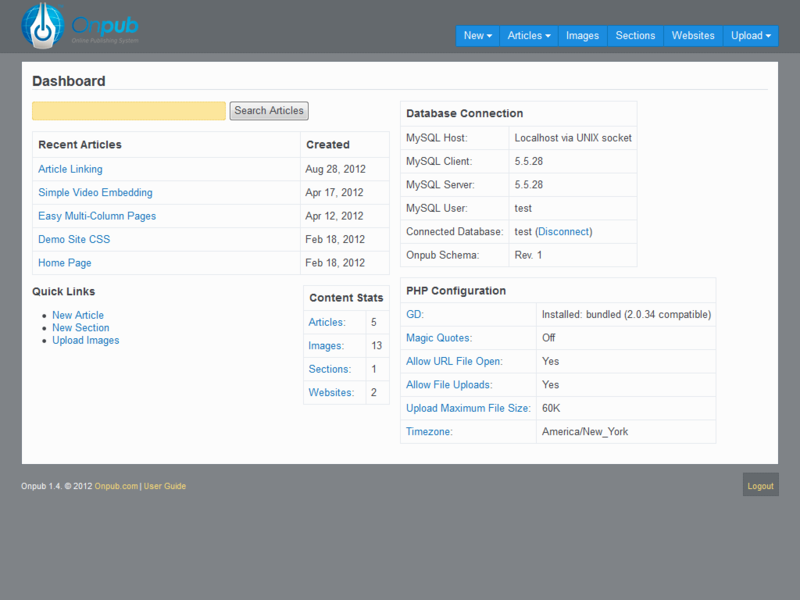 Screenshot of the Onpub content management Dashboard. Click to enlarge.